The Rhode Island Department of Transportation (RIDOT) plans to start repairs on the Portsmouth side of the Old Stone Bridge causeway in late April. 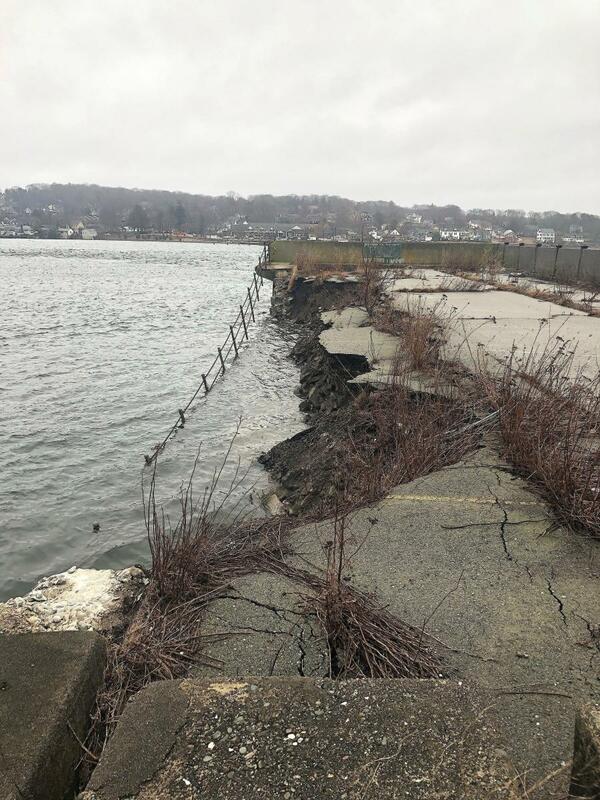 A section of the causeway eroded and broke off into the Sakonnet River on March 22, 2019 causing potential impediments to watercraft. Peter Alviti, RIDOT director said, "We will permanently stabilize this wall so it remains structurally sound and provides a safe and secure causeway to protect the environment and navigation." RIDOT has classified the damage to the causeway as a class one emergency which means that funding and other resources will be made available to repair it as soon as possible. RIDOT will meet with both the Department of Environmental Management and the town of Portsmouth to discuss long-range plans for the future of the causeway. The structure used to be part of a bridge that connected Portsmouth and Tiverton.